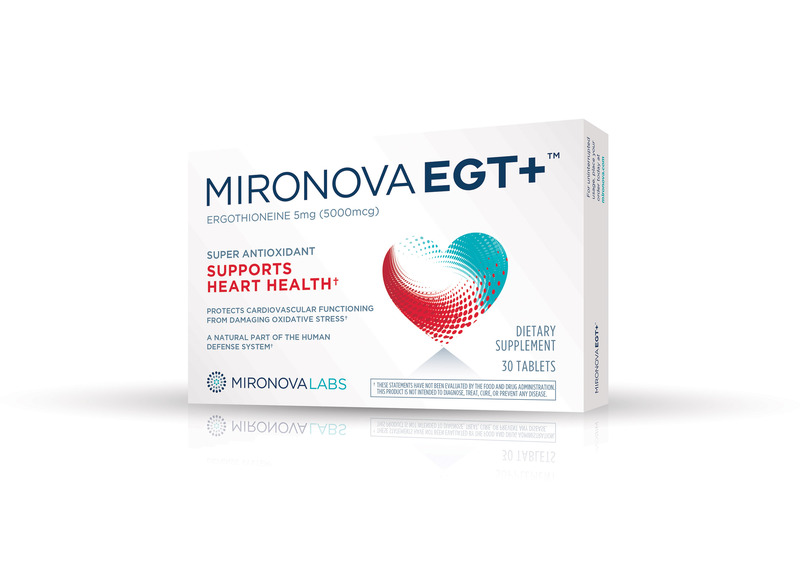 Mironova Labs, a leader in next-generation discoveries for health, vitality and beauty, announced today the launch of MironovaEGT+™, the breakthrough dietary supplement to support healthy cardiovascular functioning. 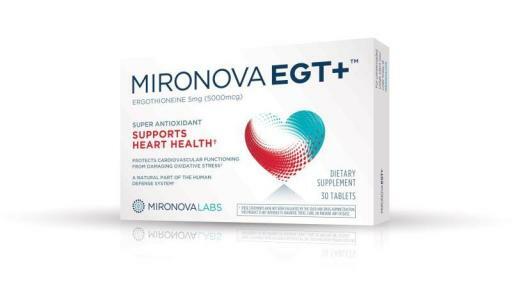 MironovaEGT+ contains the highest available concentration of ergothioneine, a super antioxidant that supports heart health by preventing oxidative stress, often described as a “rusting” of the body. The launch of MironovaEGT+ coincides with New Year’s – a time of resolutions. 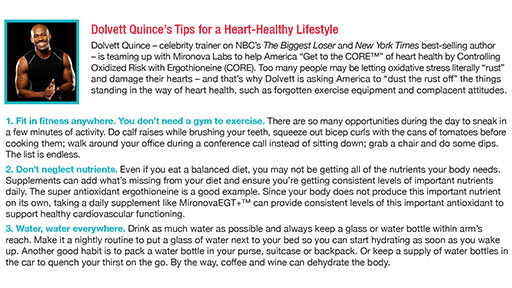 In that spirit, Mironova Labs has teamed up with celebrity trainer Dolvett Quince (“The Biggest Loser”) to introduce “Get to the CORE™,” a nationwide campaign that challenges America to “Dust the Rust Off” anything standing in the way of better heart health – whether it be long-forgotten exercise equipment or complacent attitudes about diet and nutrition - and Control Oxidative Risk with Ergothioneine (CORE). 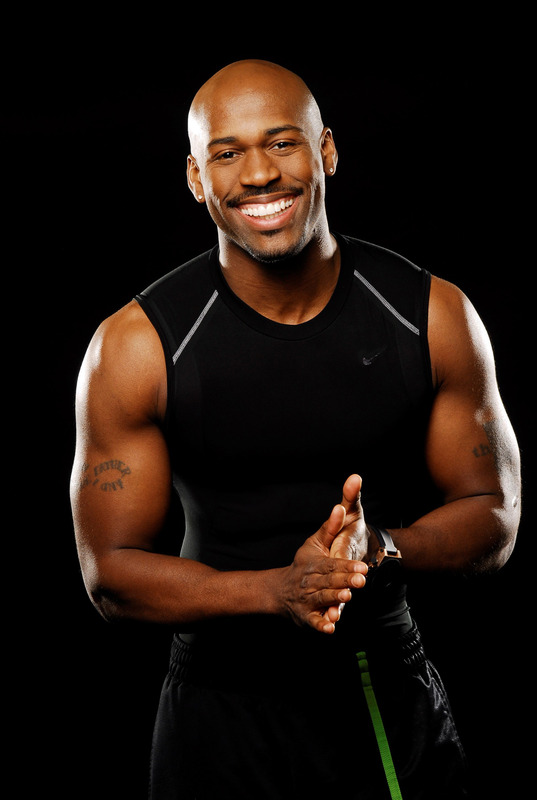 Oxidative stress occurs when there is an imbalance between oxidants and antioxidants. When the body has too few antioxidants to balance these oxidants, free radicals are released that alter DNA, proteins, and change low-density lipoprotein (LDL) cholesterol into its damaging form: oxidized LDL (oxLDL). 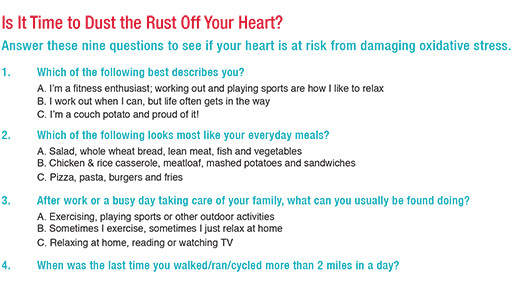 This can trigger harmful reactions that compromise heart health and lead to problems such as atherosclerosis, heart failure, heart attack and stroke. MironovaEGT+ helps to combat oxLDL with the highest concentration of the super antioxidant ergothioneine available in a supplement today. 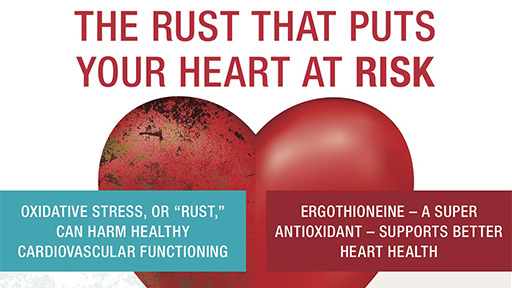 Ergothioneine is a natural part of the human defense system and is the only antioxidant with a genetically-coded internal transport system that is specifically designed to receive and deliver ergothioneine to where it is most needed: high-stress areas such as arterial walls. This transport system is of high interest to the scientific community, as it has remained part of the body’s genetic makeup through millions of years of evolution. MironovaEGT+ is available in a convenient, once-daily tablet. 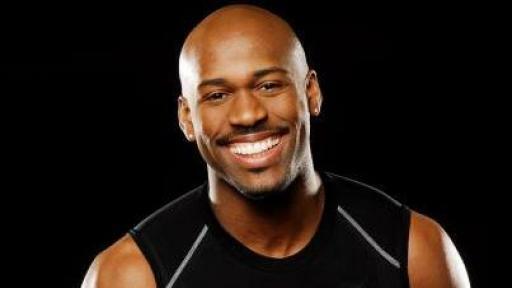 To learn more about MironovaEGT+ and the “Dust the Rust Off” campaign as well as download Dolvett’s heart health toolkit, visit mironova.com. Mironova Labs is a privately-held specialty ingredient innovator, dedicated to making next-generation discoveries for health, vitality and beauty. The company has a rich heritage of advancing science that results in breakthrough health, nutrition and beauty products. Founded in 1988, Mironova Labs is headquartered in Fairfield, NJ. 1 No purchase necessary. Open to legal residents of the United States 18 and older. Ends June 30, 2016. Visit mironova.com to see the Official Rules for details.